Enjoy plenty of privacy and all modern comfort with our spacious garden apartment which sleeps 2 adults. 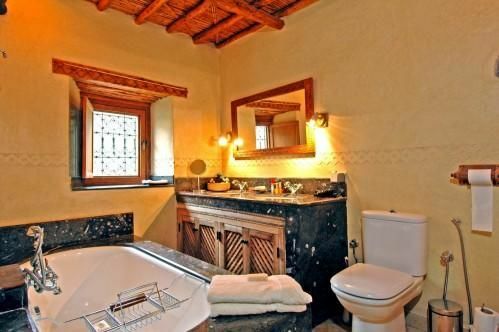 It comes beautifully appointed with fully fitted kitchen and bedroom with fossil marble en suite bathroom with twin wash bassins and a bide. The Apartment Suite is on two levels with the bedroom below the open plan lounge. 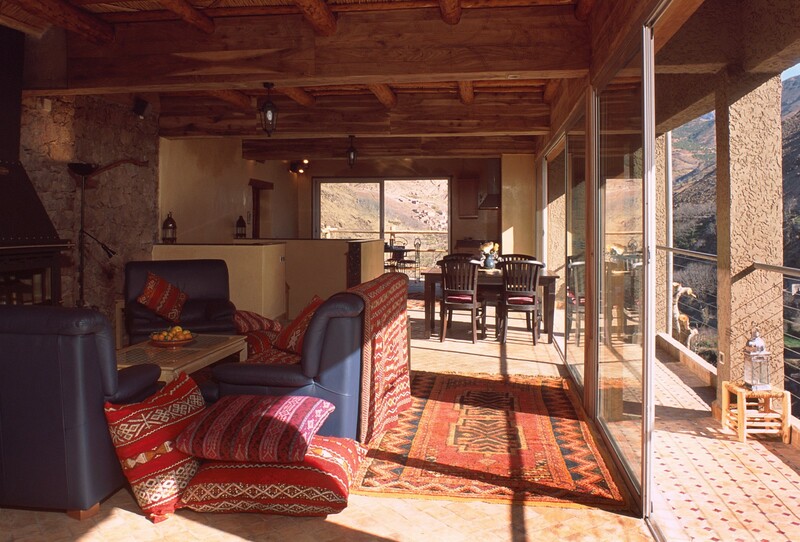 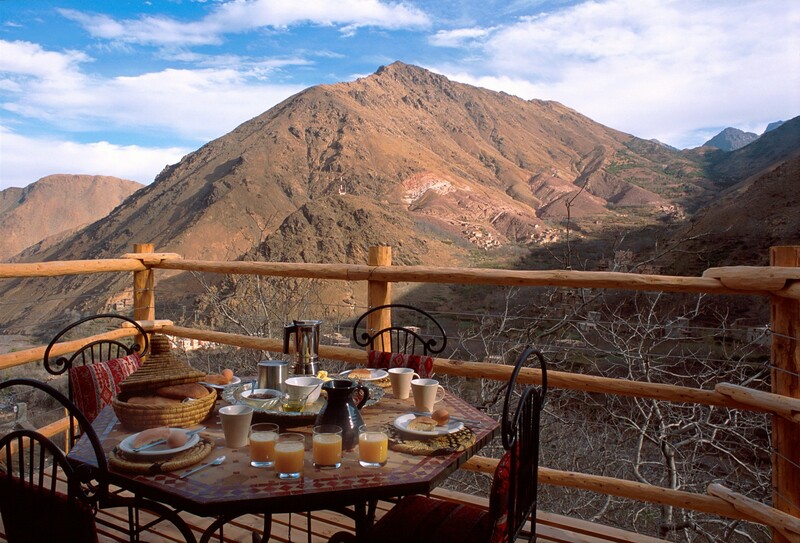 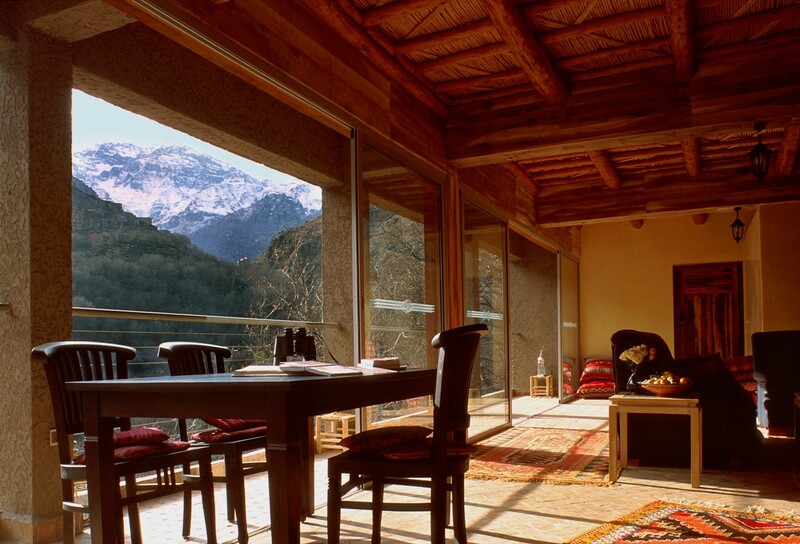 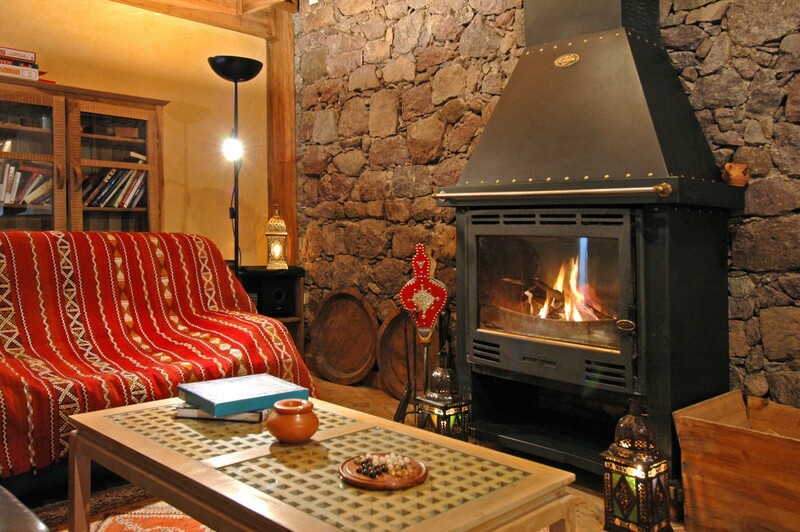 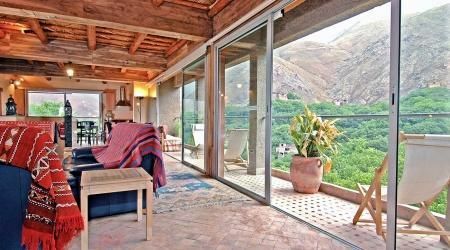 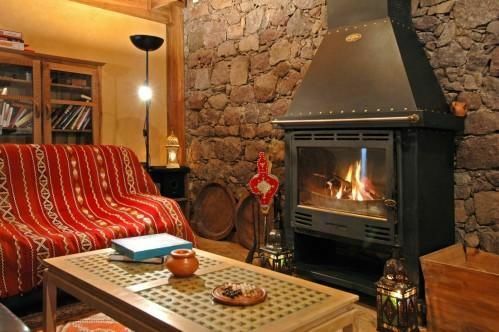 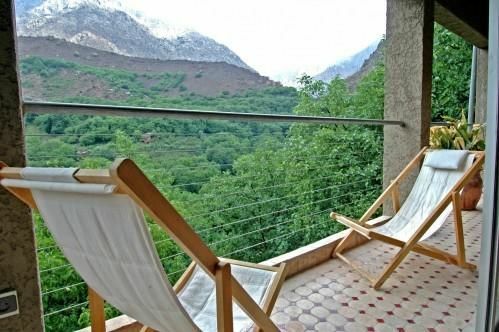 It a boasts a 70m2 lounge with large plate glass window and 10 m long balcony, that runs along the all length of the lounge and offers unparalleled views of the High Atlas Mountains. 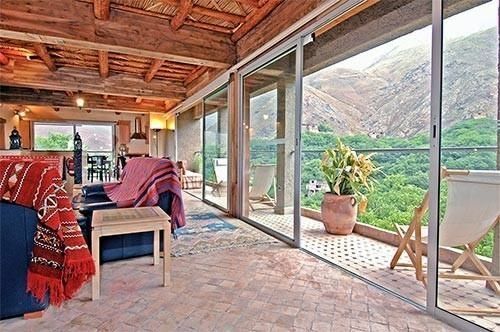 For families and large parties, this unique apartment can be turned into a 2 or 3 bedroom Garden House. For reservations of the Garden House, please contact contact@discover.ltd.uk .